The Holidays are coming. If you are celebrating Thanksgiving, Hanukkah, Kwanza, Christmas and/or New Year’s with your family and friends, there is a great chance that you will be creating a giant feast for everyone to gather and share together. A lot of waste can be accumulated during the holidays from single-use items such as plates and napkins, to wrapping paper, to food waste. With these tips, you can prepare for your holiday feasts while keeping your carbon footprint in mind! One of the best parts of planning any special holiday event is planning out your menu for your feast. While you are planning this year, keep this tips and tricks in mind to prepare a sustainable meal for you and your family! – Choose more mushrooms, beans, and lentils in your dishes this year. One pound of mushrooms takes 1.8 gallons of water to grow versus the 2,000 gallons of water needed for one pound of beef! 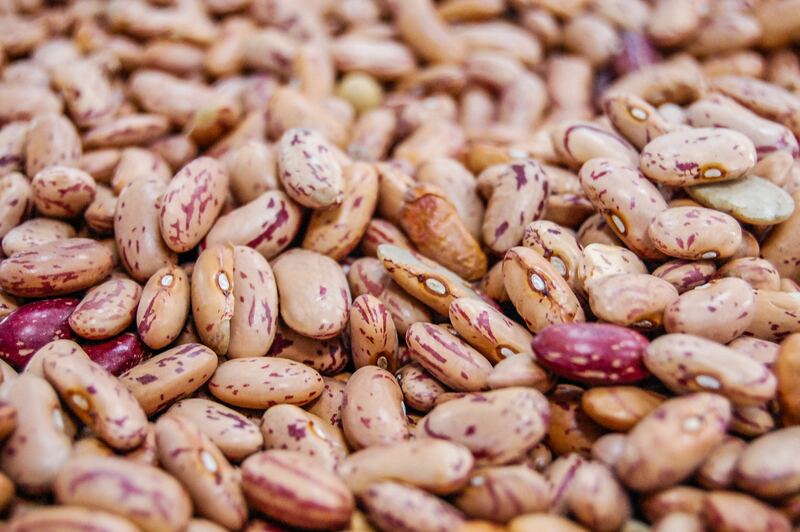 Beans, lentils, and other pulses are also great for the environment. They are able to pull nitrogen out of the air and turn it into nutrients essential for their growth and growing them allows the soil to be more fertile, which reduces the need for fertilizer! – Eat seasonally. Not only does this help your local economy and support local agriculture, but food that isn’t in season requires longer travel and storage, both equalling to more energy usage. Check out and bookmark the Seasonal Food Guide as a great source for you and your family to keep tabs on what is in season throughout the year! – Make sure you bring your reusable shopping bags with you when going shopping. Did you know that a single plastic bag can take anywhere between 15 – 1,000 years to break down, depending on the environment? Pick up reusable shopping bags from your local grocery store, or grab shopping bags and reusable produce bags on Amazon! Your shopping is finished, congrats! Now it’s time for the main event: cooking and preparing to have your loved ones over. 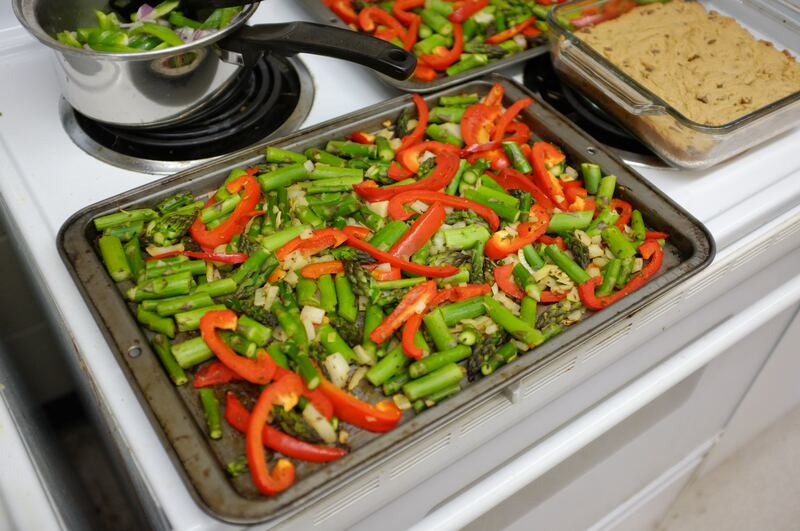 When cooking, be sure to keep green in mind! – Use eco-friendly cookware. 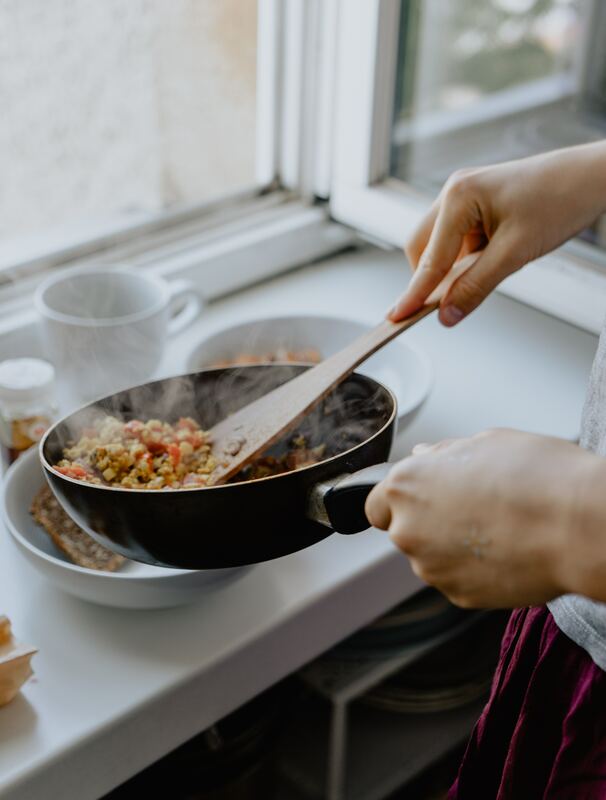 Pots and pans made with ceramic-based nonstick technology take less time to heat the surface to the proper temperature! The ceramic coatings maintain a steady high temperature so they do not release toxins or fumes. There are also brands that create cookware out of recycled materials, so keep your eye out for those! Find a list of top-rated green cookware here. – Turn down your thermostat while you cook. The heat from your oven and/or stove, along with the natural body heat from your guests will keep your house warm during your holiday event! This will save energy and money on your next power bill! You officially pulled off the main event, way to go! Take a few extra minutes after your holiday meal to think about how you can reduce your carbon footprint. Instead of throwing things away and using single-use items to pack leftovers, try a few of these tricks to get you started! – Don’t throw away uneaten food. According to the National Resources Defense Council (NRDC), a nonprofit conservation group, Americans waste on average 5 million pounds of food between Thanksgiving and New Year’s. Instead of throwing away uneaten food or leftovers, research local homeless and women’s shelters and soup kitchens that accept food donations over the holidays. If you don’t have a large number of leftovers to spare, try repurposing the leftovers to create a new dish to eat or compost your scraps! – If your guests are taking leftovers home with them, ask them beforehand to bring their own reusable containers to eliminate the use of single-use items such as plastic bags. If you plan to use your own reusable items to package your leftovers, use reusable wraps or glass and silicon containers! This will reduce food and single-use item waste! – If you have a dishwasher, use it! A lot of guests in your home means a lot of dishes to clean. Not only will using your dishwasher save time during your clean-up, but it also means using 37% less water than if you were to wash the dishes by hand. Last but not least, reduce your tailpipe emissions from your holiday travel with Ricker’s Replenish! With every gallon pumped at participating Ricker’s stores, you are offsetting your emissions by up to 30%! Stay green while you drive this holiday season. From Ricker’s Replenish to you, we wish you the happiest holiday season!